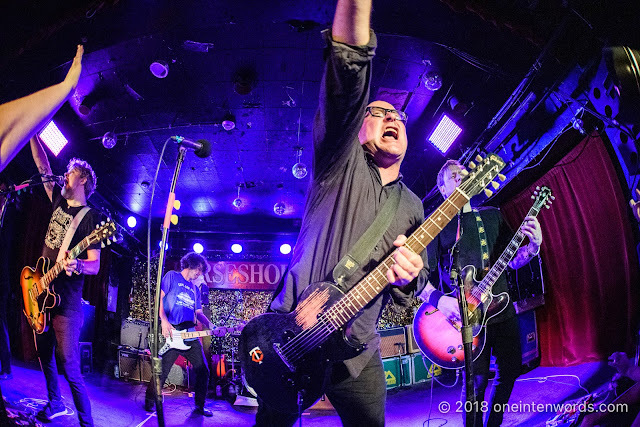 Brooklyn, NY alternative/classic rock band The Hold Steady, who happen to be one of my favourite bands, and one that shines in their live shows, played a four-night stand at The Legendary Horseshoe Tavern, dubbed Constructive Summer, back in September. I attended all four nights, but only the first with camera in tow. 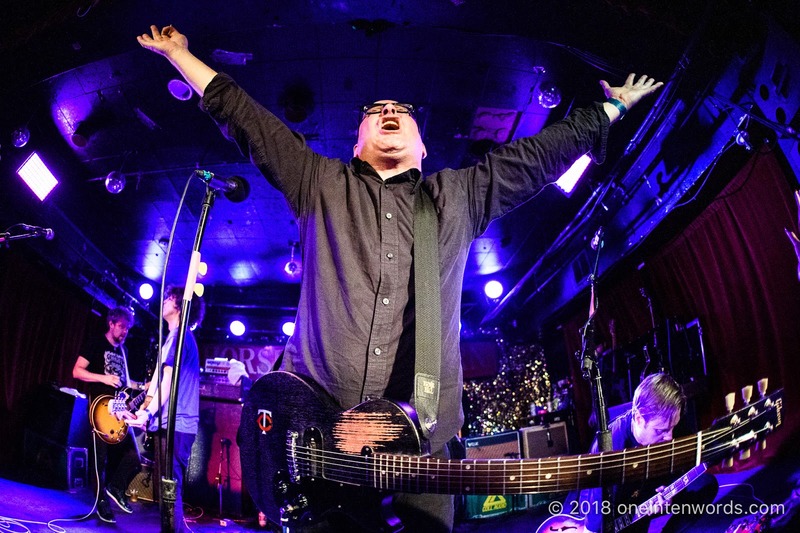 That first night was probably the most special of the four, since they played the entirety of their Stay Positive album, in order, to celebrate the tenth anniversary of its release, plus a greatest-hits batch of tunes from the rest of their catalog. 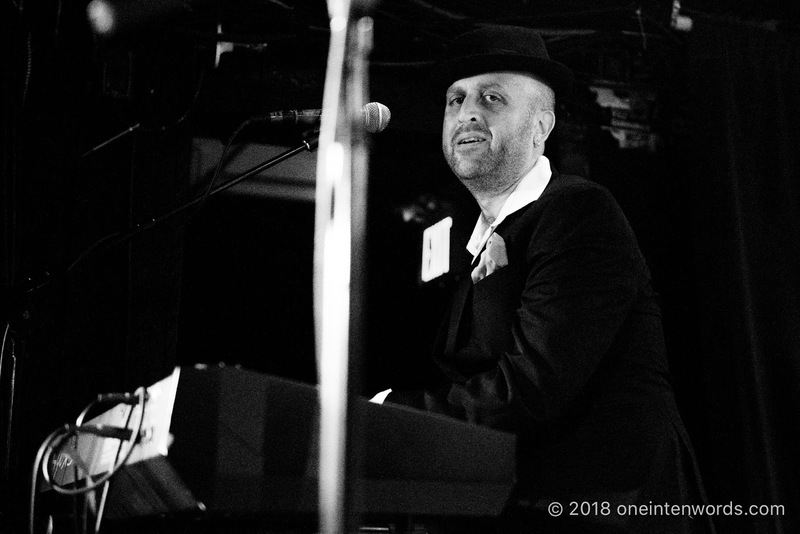 The band leveraged the joys and flexibility of internet distribution to put out some tunes before these multi-night weekend shows, allowing the audiences to hear some new songs, played for the first time for us. As Craig Finn put it, they are our songs that we'll remember in ten years as our songs. Wednesday night it was "Confusion in the Marketplace" and Thursday night it was "T-Shirt Tux". That's a pretty nice touch and a cool shot of uniqueness. On the second night, certain lyrics and comments by Craig struck me more strongly than usual. This night, it was, "Certain songs they get so scratched into our souls" and "Let this be our annual reminder that we can all be something bigger." 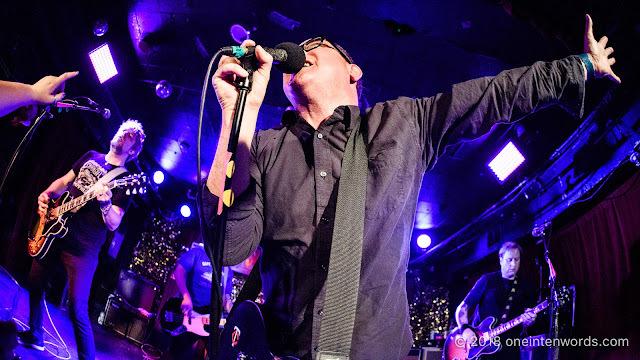 Craig mentioned that he wanted The Hold Steady to be a band you can be a part of, that the best bands always are and when THS comes to Toronto it feels like that. 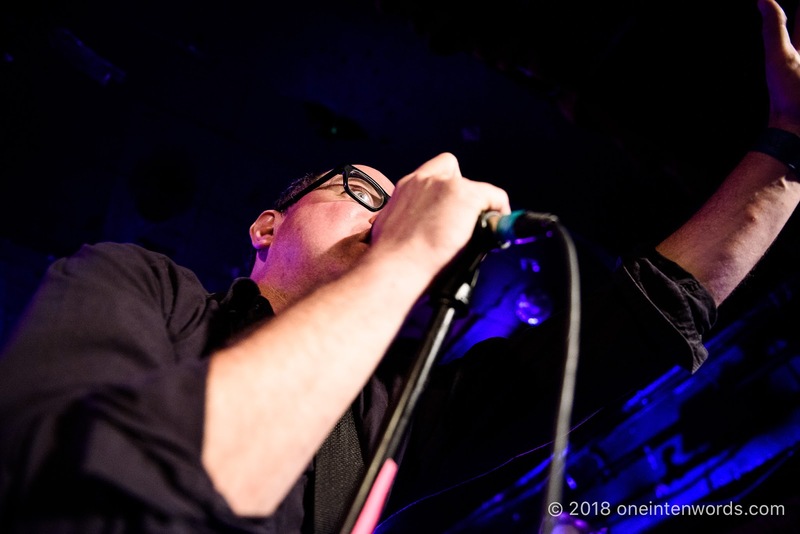 These lyrical snippets and thoughts, along with our nightly affirmations that we all get so much joy out of the shows, and that we are all The Hold Steady, are some of what makes The Hold Steady special and makes their fans so loyal. Nice words from a true poet of our time. 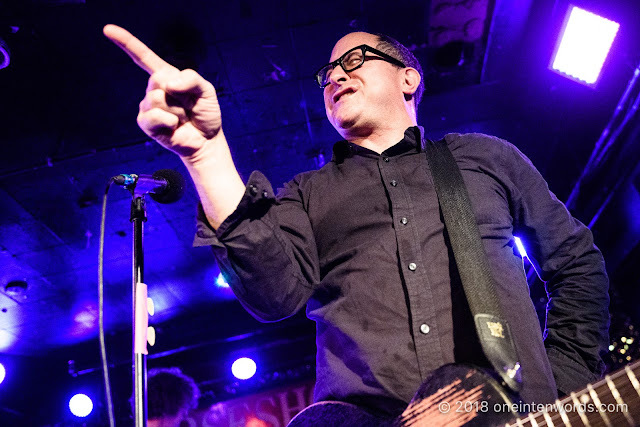 Over the four nights, we got pretty much everything we look to The Hold Steady for; engaging stories told through invigorating tunes; amazing musicianship from every member of the band (as a guitarist, the interplay between the three guitars on stage is magical); the lyrics being shouted by almost everyone in attendance; fan-brought fun like confetti to be thrown at just the right moment; meeting some cool people who travel from far and wide to see The Hold Steady; and four nights in a row in the comfy confines of The Legendary Horseshoe Tavern. 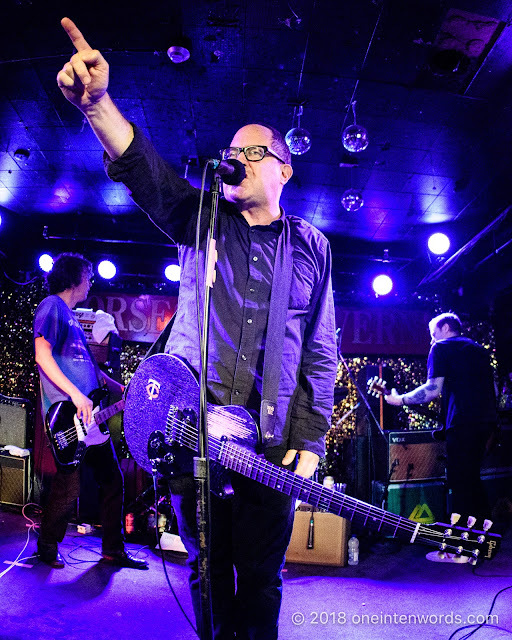 Fans of The Hold Steady are diligent types and have detailed out their setlists for each of the four nights. Click through on Wednesday, Thursday, Friday and Saturday to check them out. And what about the opening acts? 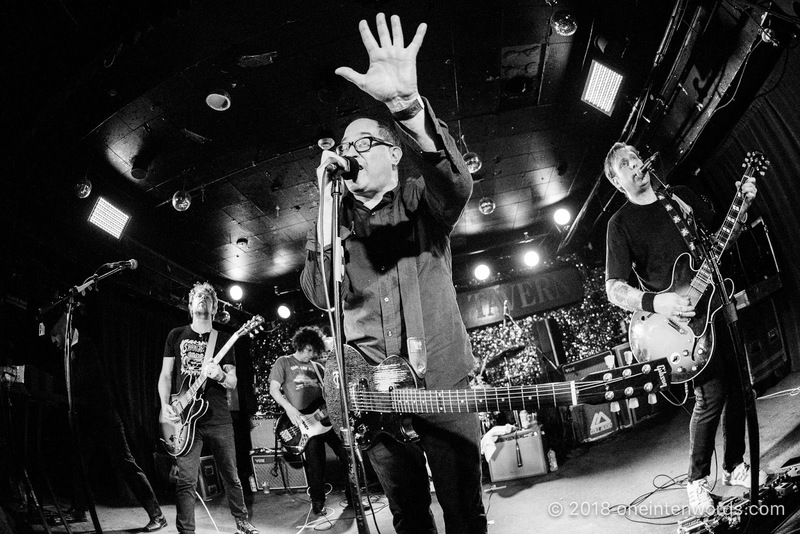 The Hold Steady curated a great set of four opening acts for these special shows. First night, it was Weakened Friends from Portland Maine. 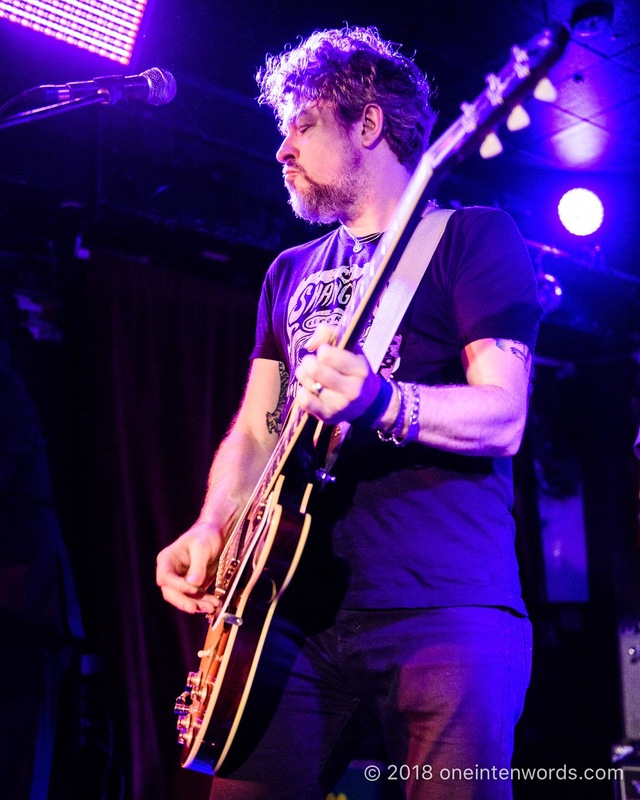 They played an awesome set of powerful, guitar-driven alternative rock. I loved it and would see them again in a heartbeat. 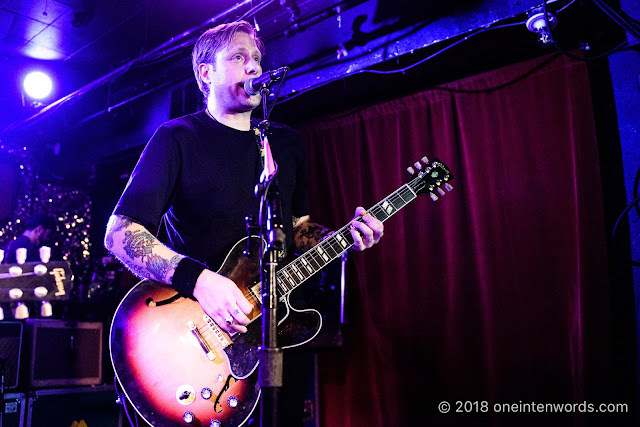 My photos from their set are here. Second night, it was Dave Hause who opened things up. I've wanted to see Dave for a long time. Unfortunately, it was not to be on this night either, as I was already committed to be over at Rebel capturing Interpol and Sunflower Bean. Next time, Dave! Third night, the rumour mill was swirling that it would be something special. And it was. The Dirty Nil were celebrating the release day of their new album Master Volume and played a powerhouse set for us. 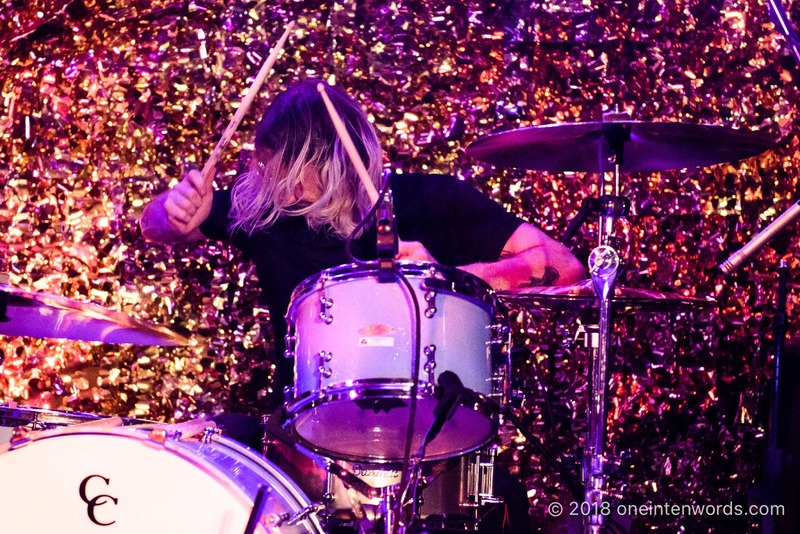 I walked away from this show with the solid opinion that Master Volume would be a great new record. And it is. I felt so lucky to be able to see this show on the day of Master Volume's release. Fourth night, Pkew Pkew Pkew (Gunshots) were the opener. They said that they played last time The Hold Steady played a four-night stand at The Horseshoe, and they did. I was there. Check out my photos here. They did a great job getting everyone warmed up and moving to their high-energy, hook-filled, sing-along party tunes. And of course, this wasn't my first time seeing The Hold Steady live. 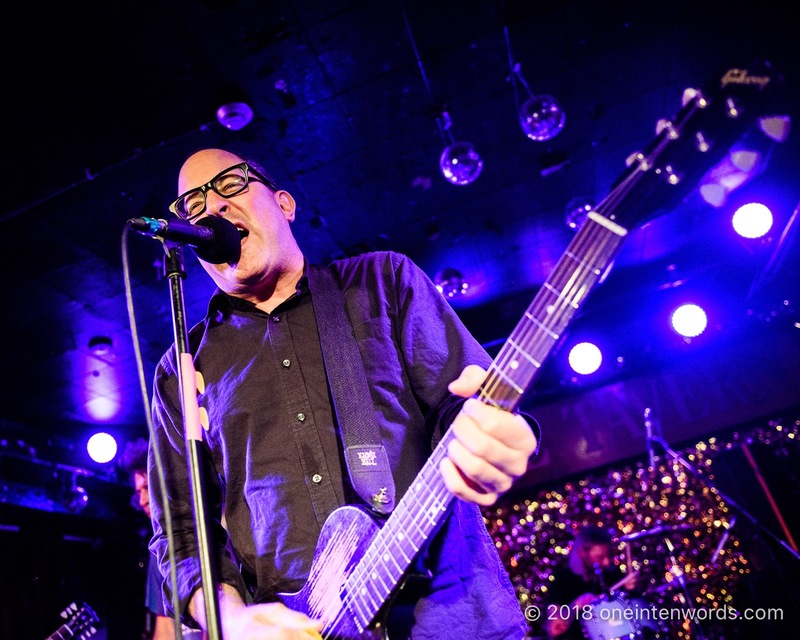 You can check out my photos of them at TURF 2016, at The Horseshoe for the bar's 67th birthday, at TURF 2013, which are some of my very first concert photos, and Craig Finn and The Uptown Controllers in 2017.